Tainung Papayas are football-shaped, elongated fruit. They are a large papaya, and typically weigh up to 4 pounds and measure around 70 centimeters in diameter. They have a green outer skin that turns yellow as the fruit matures. Their inner flesh is pink-red in color. It is fragrant, and contains hundreds of small, round black seeds that sit in a large central cavity. The seeds are edible, but have a peppery taste and so are often removed before the fruit is eaten. The fruit itself has a mango-like texture. It tastes sweet, juicy and has a melon-like flavor. Tainung Papayas are botanically classified as Carica papaya. They are an important commercial papaya, and are one of the largest varieties of papayas in the world.  They are found in supermarkets in the United States, Canada and Europe. Tainung Papayas are a fast-growing cultivar that can produce many fruit at one time. Tainung Papayas contain ascorbic acid, lycopene and carotenoids, which gives the papayas their distinctive orange color. They also contain vitamin A, vitamin C, calcium, iron, magnesium, potassium, dietary fiber and carbohydrates. 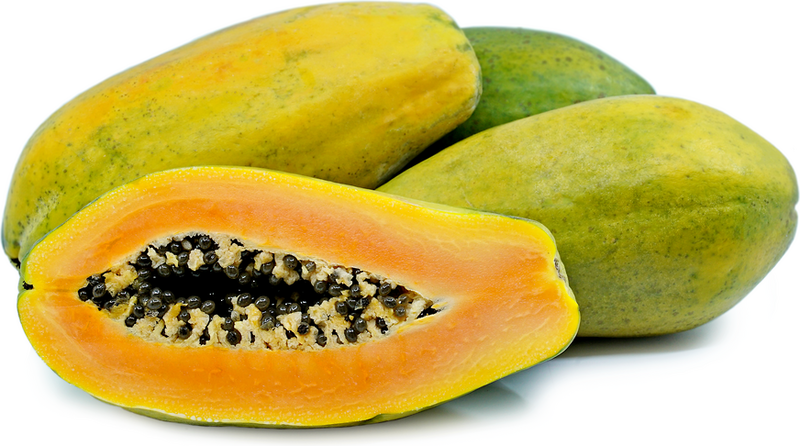 Like other papayas, they contain an enzyme called papain, which aids digestion. Unlike other papayas, Tainung Papayas are ready to eat when the outer skin is still green. The fruit should feel tender to the touch. Cut the papaya open length-ways, and use a spoon to scoop out the seeds. Remove the outer skin, and enjoy the juicy inner flesh raw, with a squeeze of lime juice or a dash of salt or chilli powder. They add a tropical flavor to fruit salads and salsas, and can also be enjoyed as a dessert, paired with ice cream or yogurt. Tainung Papayas are best ripened at room temperature in a paper bag. Once they have reached the desired ripeness, store them in the refrigerator and use them within a day or two. Tainung Papayas are also known as Formosa Papayas. Taiwan was once a Portuguese trading colony, and was formerly known as Formosa, which means “beautiful” in the Portuguese language. Papayas are native to Mexico and South America. However, the Tainung Papaya itself is a variety that was originally developed in Taiwan. Their parent is the Sunrise Papaya, a cultivar that has been used for hybridization since the 1980s. Tainung Papayas are valued because they are relatively tolerant to ring spot virus, and today are grown in most tropical countries throughout the world. Tainung Papayas found in the United States are generally grown in Mexico, Belize and Guatemala. 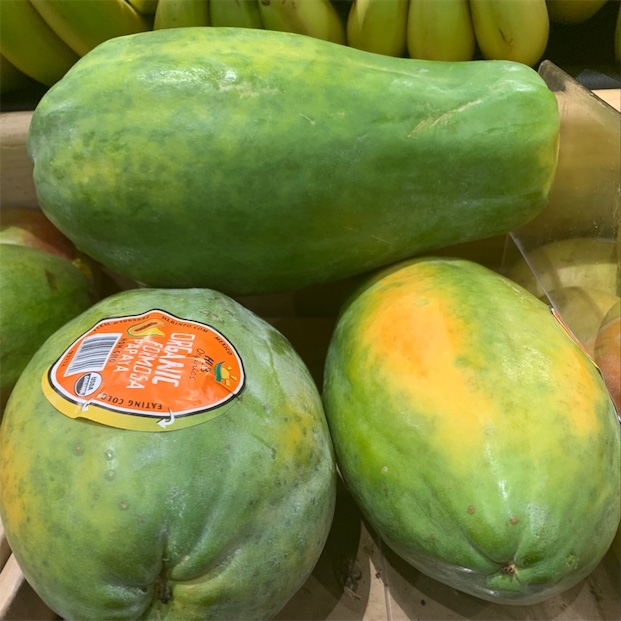 People have shared Tainung Papaya using the Specialty Produce app for iPhone and Android. 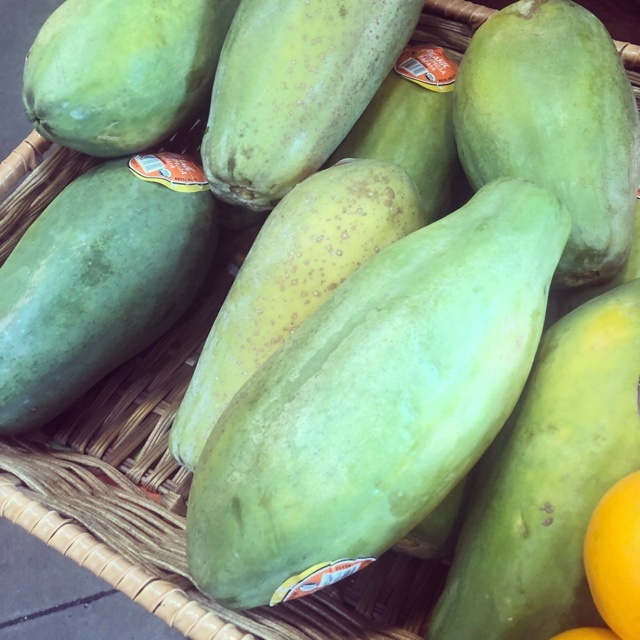 Sharer's comments : Tainung Papaya spotted at Ocean Beach People's Organic Food Market.